The Belize Volleyball Association (BVA) held a beach volleyball tournament at the Lazy Lizard Bar and Grill in Caye Caulker on May 19th and 20th. 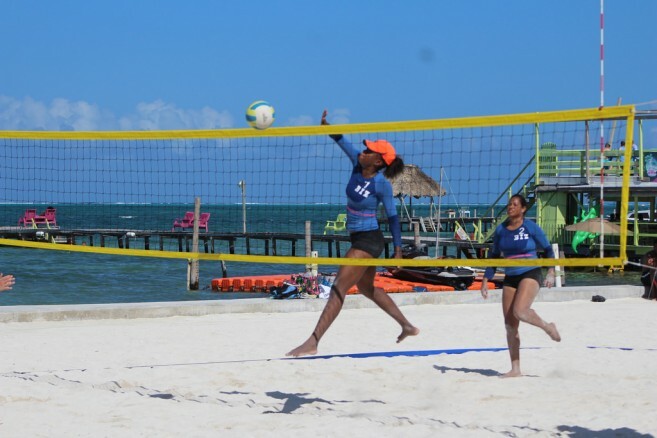 The tournament saw the participation of 12 male teams and six female teams from all across the country, including Punta Gorda, Hopkins Village, Corozal Town, Belize City, San Pedro Town, Caye Caulker, Orange Walk Town, and even one international team from Cancun, Mexico. After a long weekend of intense matches, San Pedro’s athletes Ricky Luna and Gaby Nuñez took the third place in the male category after defeating islanders Jason Cabral and Baydr Sajia (21-17, 13-21, 15-12). 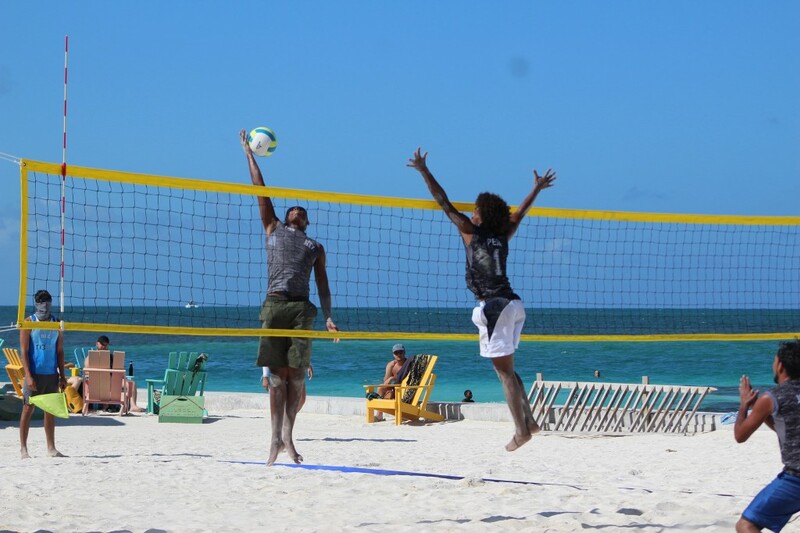 The male championship match saw Bryton Codd and Francis Hauze from Belize City coming out victorious over the Mexican team, Eduardo Osorio and Eric Canche by winning both sets (21-19, 21-14). 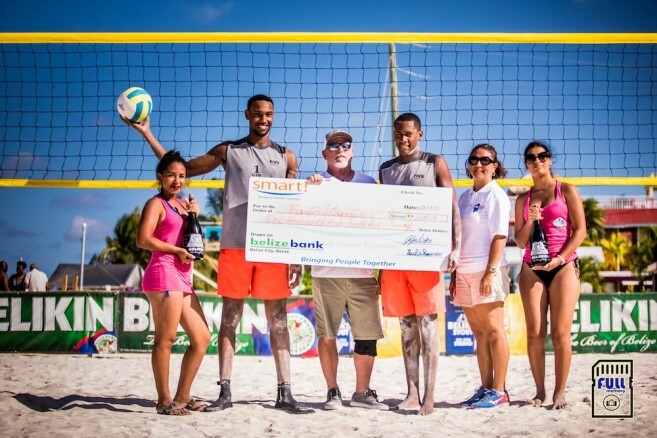 Codd and Hauze claimed the grand prize of $1,200, while Osorio and Canche settled for the sub-champions title $800. In the female category, the third place went to Belize City’s Marci Mejia and Iman Safa, who emerged victorious over Belize City’s Mya Musa and Ayah Safa (21-16, 22-20). For Shantell Arnold from Belize City and Emma Hoare from San Pedro Town won the championship after defeating Maurissa Williams and Tanesha Encalada from Belize City (21-7, 21-7). Arnold and Hoare claimed the grand prize of $1200, while, Williams and Encalada settle for the sub-champions title and $800. BVA thanks all teams for their continued participation in the volleyball tournament and for making it another success! 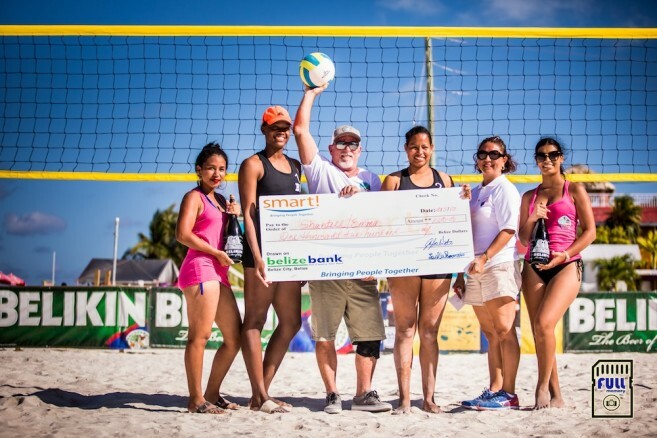 Special thanks go to the major sponsors, including SMART Belize, Lazy Lizard Bar & Grill, Landshark Lager and Powerade. The San Pedro Sun congratulates all island teams that participated, as well the champions of the tournament!